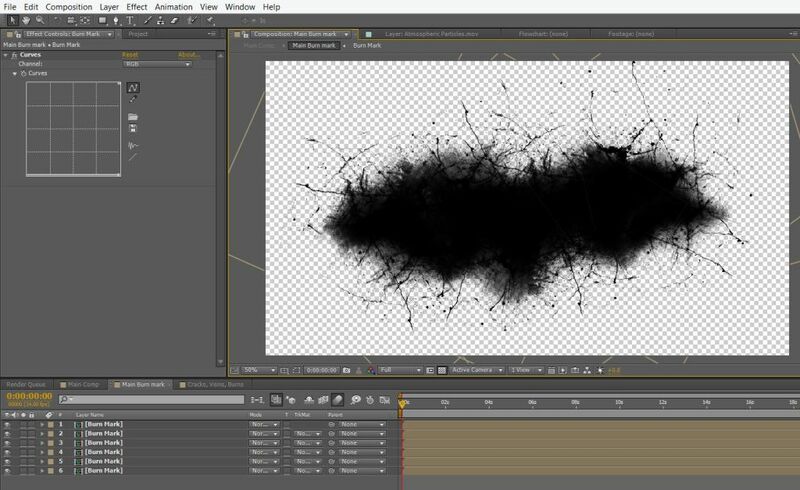 Free After Effects Templates are difficult to find these days since most of them are paid. Artists prefer selling their work on website like Videohive, but at Editing Corp., we believe in providing free stuff. Impurity is our new After Effects Template that is Royalty free, Absolutely free of cost and can be used to create Title’s for your Project. 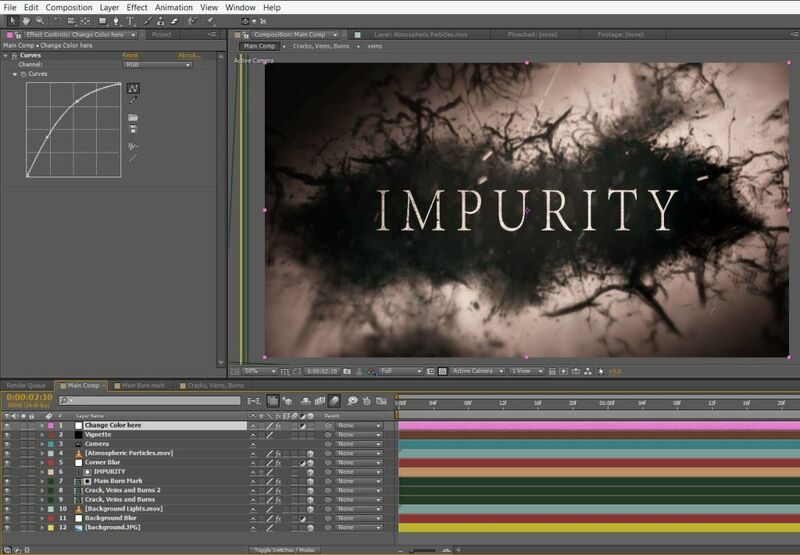 Impurity After Effects Template is easy to understand, easy to modify and well organised. Impurity requires stock images and video’s which are available in the template package. There is one single Text Layer which you need to change to modify the text. You can control the color of the template and change it to any other color you want by using the curve adjustment. You can find it on the very first layer of the composition which says ‘Change Color Here‘. Apart from that, you can increase or decrease the number of background element too. 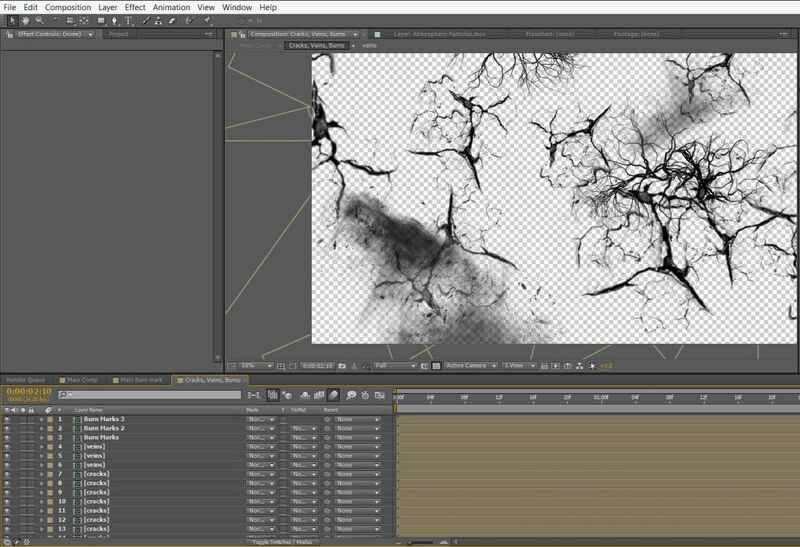 By using the Crack, Veins, Burns layer, increase or delete the elements, or change their position or rotation to create an all new look for your project. Inside the Main burn mark composition, you can control the big burn mark behind the text. Use it to modify the scale, position or rotation of the mark. Inside the ZIP package, you will find three folders and a License Agreement, make sure you go though the License agreement once before using this template. Impurity After Effects Template requires two stock videos which you will find inside the ‘Rendered Videos’ folder – Atmospheric Particle and background Lights. The Image folder contains the stock images of veins, cracks, burns and a background image. You can change the background images anytime by simply replacing it with any other image.